Long after the Anishinaabeg first inhabited and voyageurs plied Lake Superior’s North Shore in Minnesota, and well before the tide of Scandinavian immigrants swept in, Bela Chapman, a clerk of John Jacob Astor’s American Fur Company, fetched up in Gichi Bitobig—a stony harbor now known as Grand Marais. Through the year that followed, Chapman recorded his efforts on behalf of Astor’s enterprise: setting up a working post to compete with the Hudson Bay Company, establishing trading relationships with the local Anishinaabeg, and steering a crew of African-Anishinaabeg, Yankee, Virginian, and Métis boatmen. The young clerk’s journal, and another kept by his successor, George Johnston, provides a window into a story largely lost to history. Using these and other little known documents, Timothy Cochrane recreates the drama that played out in the cold weather months in Grand Marais between 1823 and 1825. 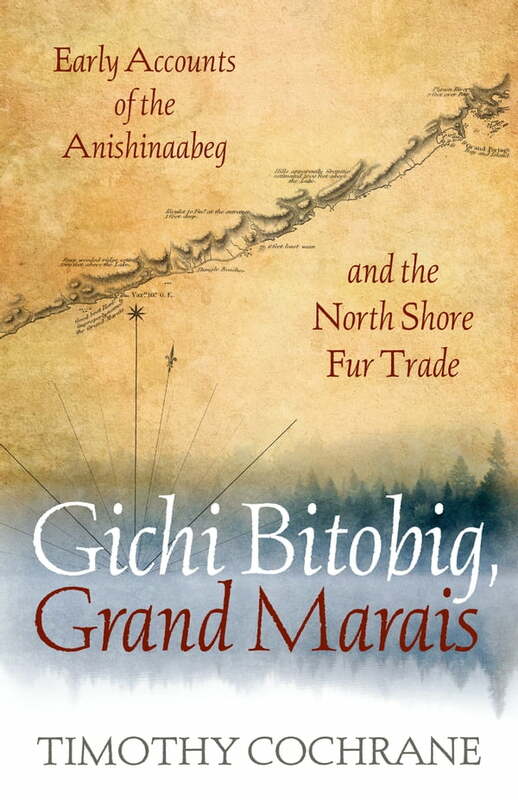 In its portrayal of the changing fur trade on the great lake, Gichi Bitobig, Grand Marais offers a rare glimpse of the Anishinaabeg—especially the leader Espagnol—as astute and active trading partners, playing the upstart Americans for competitive advantage against their rivals, even as the company men contend with the harsh geographic realities of the North Shore. Through the words of long-ago witnesses, the book recovers both the too-often overlooked Anishinaabeg roots and corporate origins of Grand Marais, a history deeper and more complex than is often told. Gichi Bitobig, Grand Marais recalls a time in northern Minnesota when men of the American Fur Company and the Anishinaabeg navigated the shifting course of progress, negotiating the new perils and prospects of commerce’s westward drift.